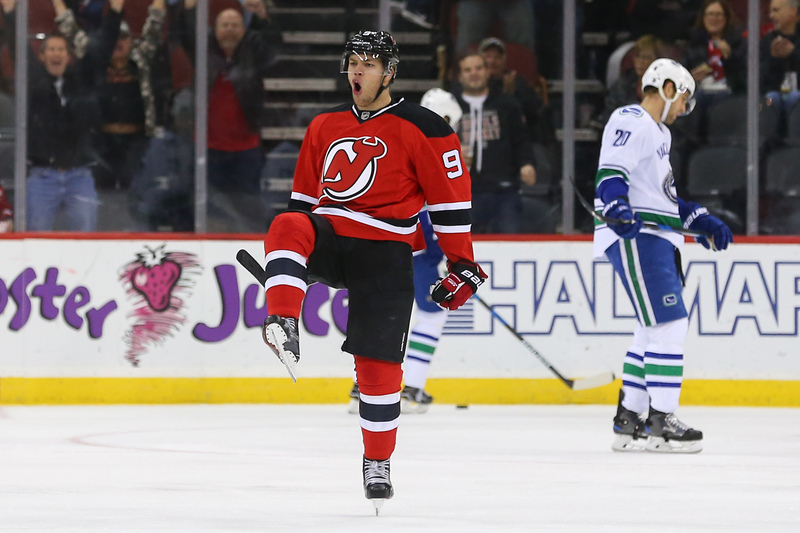 For the first time since 2012, The New Jersey Devils are heading back into the playoffs, and they are coming in hot. In the 2012 playoffs, as the 6 seed (102 points), the Devils made a magical run all the way to the Stanley Cup Finals where they ended up coming up short against the Los Angeles Kings. That playoff run was one of the most memorable runs for Devils fans in our short history. This was partially because of the great series against the Rangers where they Devils knocked them off with the famous Adam Henrique goal in overtime to win the Eastern Conference. However, these teams are very different, but this team is poised for the same success. The 2012 team was lead by Ilya Kovalchuk, Patrik Elias, and the best goalie of all-time, Martin Brodeur. The 2018 playoff team however, is full of new faces. The group is lead by Hart Trophy (MVP) frontrunner Taylor Hall. Hall was acquired from the Oilers in 2016, in a one on one deal for Adam Larsson. The former number one pick has finally found his place as one of the leagues best players with New Jersey where he currently leads the team with points with 93 (39 goals, 54 assists), which is 4th most in Devils history. Hall has been nothing short of outstanding, and he has lead this team all season. Earlier in the year he had a point streak that stretched for 26 games. Hall has 42 (!!!) more points than the next closest Devil. This is an absolutely extraordinary season by Hall, and he deserves nothing less than winning the Hart Trophy, as he is literally the Most Valuable Player. Without Hall, the Devils would be in contention for the number one pick again. Unlike being lead by veterans like Kovalchuk and Elias, this Devils team is being lead by rookies. The team is getting a huge boost from this year’s first overall pick Nico Hischier, who is second on the team in points with 52 (19 goals, 32 assists), with a +/- of 10, an outstanding rookie season by the 19 year old. The other big Devils rookies who are making immediate impacts to help this playoff run are, Defensemen Will Butcher (5 goals, 39 assists), who it tied for 3rd on the team in points with Kyle Palmieri with 44. Also, Jesper Bratt is 5th on the team in points with 35. It is a very different format from the 2012 team, as this team isn’t being lead by all-time Devil greats and veterans, but by the young rookies I mentioned. The other big reason the Devils are back, are the trade deadline acquisitions of Patrick Maroon from the Oilers and Michael Grabner in the first ever Devils-Rangers trade. Both players are settling in just in time for the playoffs as their impacts have been felt, especially on offense. Maroon and Grabner have 10 and 5 points respectively since joining the Devils. In my opinion, the second biggest factor to the Devils making the playoffs behind Taylor Hall, is the emergence of the backup Goalie Keith Kinkaid. In 2012, the Devils were set in net by the Goat Martin Brodeur. An established goalie, who is a hall of famer and hands down the greatest goalie of all time. This Devils team, very different. This team is lead by their backup goalie. After the Devils starter Cory Schneider went down for a few weeks with injury, Kinkaid stepped up big time, winning himself the starting goalie job, even after Schneider was healthy enough to be back in the lineup. On the year, Kinkaid has posted a record of 26-10-3 with a GAA of 2.77 and a Save Percentage of .913. As a backup goalie stepping in and making this impact, Kinkaid has earned himself just about every start in the last few weeks, with Cory as the backup. However, it has been the playoff push by Kinkaid that his been the most impressive. In his last 20 games, when the Devils needed it the most, he has gone 16-3-1, and in his last 8 games, he is 7-0-1 with a 2.25 GAA and a save percentage of .931. Kinkaid has been amazing, and has earned the right to start in the playoffs. Taylor Hall is hands down the team’s (and should be the league’s) MVP, however, Keith Kinkaid was the player who saved the Devils season. With one game left, The Devils are currently 44-28-9 (97 points), and are 4th in the Metropolitan Division, and own the first wild card spot, with the chance to move all the way to second in the Division, and to own the 5th spot in the Eastern Conference. This team isn’t the same team that made the run in 2012, but this team, which is at least 2 years ahead of schedule, is exciting and intimidating. Be on the look out for the New Jersey Devils to make a run for the Cup this year.